Jones has plenty of experience hurtling down an Olympic track. She just missed a medal in the 100-meter hurdles in both Beijing and London. Now she’ll be pushing not only herself to the finish but also her pilot, in the two-woman bob. 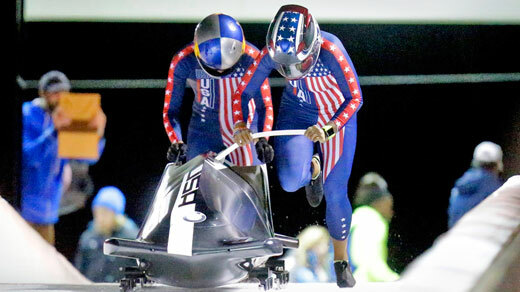 This season, her sled finished first in the mixed team competition at the world championships in St. Moritz.